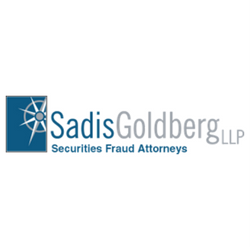 Founded in 1997, Sadis & Goldberg is a securities law boutique that regularly represents investors, investment advisers, industry professionals and brokerage firms in the financial services industry. Though our offices are in New York City, we practice nationwide, and for the last 25 years have represented individual and institutional investors throughout the country in securities litigation and arbitration. Our securities attorneys have a wide range of experience in the financial services industry and include former SEC attorneys. We have won many multi-million dollar securities arbitrations, verdicts, awards and settlements for our clients. We have tried numerous arbitrations and trials to verdict. Our experience enables us to obtain outstanding results, both at trial and through settlement. As a niche law firm, our attorneys have the ability to focus their time on what they do best: recovering losses for investors with claims against financial advisers, stockbrokers, and brokerage firms. For a more in-depth understanding of our work, we have provided a few representative results we have obtained for clients. The list is not comprehensive of all the work we do – they represent a sampling. If you are unable to find an example of a transaction that reflects your particular need, please contact Douglas Hirsch at dhirsch@sglawyers.com for more information. Cerisano v. Interactive Brokers, LLC, No 13-03526 (January 14, 2015): Won $2.4 million FINRA arbitration award for a large trader alleging misstatements about VIX futures. Award was more than three times higher than any previous FINRA arbitration award against broker. In re Orchard Enterps. Inc. S’holder Litig., 88 A.3d 1 (Del. Ch. 2014): Successfully represented merger arbitrage hedge fund as Co-Lead Counsel in a fiduciary duty action that recovered 195% above merger price for cashed-out stockholders. Argued all motion practice, including obtaining partial summary judgment. Obtained a total class settlement fund of $10.725 million. Navigator Capital P’rs, L.P. v. Bear Stearns Asset Mgmt. Inc. et al., 07-Civ. 07783 (S.D.N.Y., Nov. 2, 2011): Obtained settlement of $18.9 million claim alleging misrepresentations and breaches of fiduciary duty on behalf of limited partner in Bear Stearns Domestic High Grade Fund. Orchard Enterps. Appraisal Litig., 2012 WL 2923305 (Del. Ch. July 18, 2012, aff’d Mar. 28, 2013): Won verdict of $3.3 million as trial counsel in appraisal rights action relating to value of stock in merger. FINRA Arbitration, 13-01876 (April 28, 2015).Obtained six-figure settlement for client in settlement of FINRA arbitration against investment adviser for recommending unsuitable investments and misrepresentations. Representing several investors in ongoing dispute with large brokerage firms over unsuitable investments, churning of accounts, broker misrepresentations and breaches of fiduciary duty.